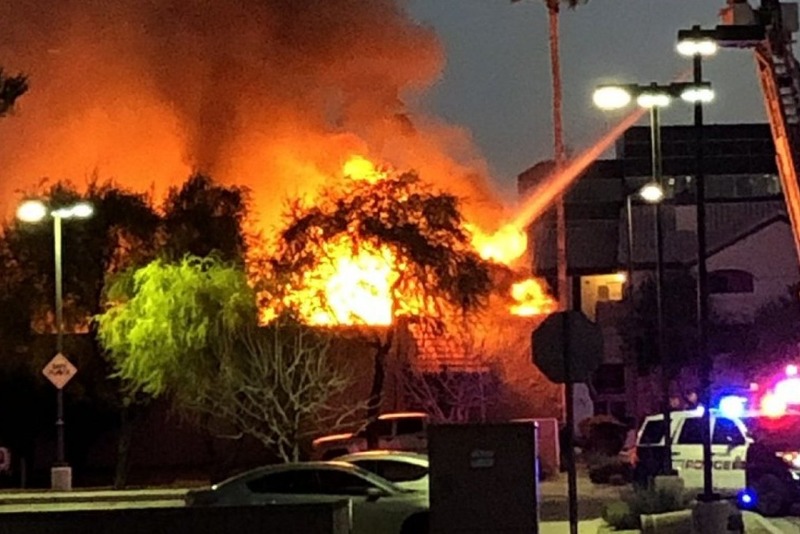 Doc & Eddy's in Tempe, AZ suffered a massive fire on the morning of March 17, 2019. All that remains standing are the outer walls, and we are so grateful that no one was hurt. We are INCREDIBLY thankful to the first responders who worked tirelessly and bravely for many hours to put out the blaze. We are also so very thankful for the outpouring of love and support from our customers, neighbors, and community. We can really see how tragedy brings out the best in people, and we are so very grateful to have so many thoughtful and wonderful people thinking about us. At present, our greatest concern is the well-being of our staff, as insurance won't cover their tips and lost income. Many of our staff have been with us for years and years, and they have families and mortgages. Many people have asked how they can help, and one major way is by helping our staff while Doc & Eddy's is rebuilding. Given that we have over 30 staff members, and the rebuild may take months, any little bit that you can give would be of tremendous help. We are excited to share that demolition started in earnest today! We are one step closer to getting our favorite bar back up and running! We are so grateful for everyone's continued support. Thank you all so much for your kind words and generosity. We have a long road ahead of us, but we are feeling optimistic as we learn about all our options for the rebuild. Thank you for your continued support, shares, and kindness. Much love.